Oulu is a city and municipality of inhabitants in the region of Northern Ostrobothnia, Finland. On the 29th (Sat), take in the spiritual surroundings of Oulu Cathedral, look for all kinds of wild species at Hupisaaret Park, browse the eclectic array of goods at Kauppahalli, then see the interesting displays at Pohjois-Pohjanmaan museo, and finally take in the architecture and atmosphere at Haukipudas Church. Here are some ideas for day two: delve into the distant past at Kierikkikeskus, then see the interesting displays at Turkansaaren Ulkomuseo, then see the interesting displays at Oulun Taidemuseo, and finally pause for some photo ops at Toripolliisi. To see photos, where to stay, more things to do, and tourist information, read Oulu tour itinerary planner. Berlin, Germany to Oulu is an approximately 11.5-hour flight. You can also drive. The time zone changes from Central European Time to Eastern European Time, which is usually a 1 hour difference. In December in Oulu, expect temperatures between -2°C during the day and -9°C at night. Cap off your sightseeing on the 30th (Sun) early enough to travel to Salla. Salla is a municipality of Finland, located in Lapland. 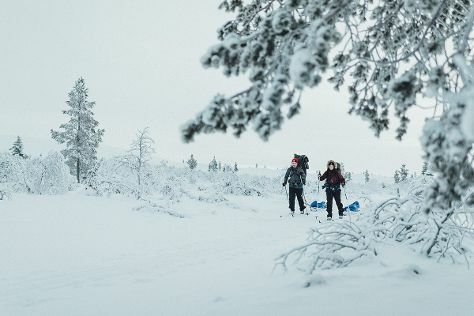 On the 31st (Mon), hit the slopes at Salla Ski Resort, then steep yourself in history at Paikanselan Taistelualue, and then join in the after-dark buzz at Salla Museum of War & Reconstruction. To find more things to do, other places to visit, ratings, and other tourist information, read Salla trip planning tool . You can drive from Oulu to Salla in 4 hours. Traveling from Oulu in December, expect Salla to be slightly colder, temps between -7°C and -16°C. Finish up your sightseeing early on the 31st (Mon) so you can travel to Saariselka. On the 1st (Tue), take in the architecture and atmosphere at Saariselka S:t Paulus Chapel, then explore the wealth of natural beauty at Urho Kekkonen National Park, then examine the collection at Gold Prospector Museum, and finally have fun at Action Park. For ratings, photos, where to stay, and more tourist information, use the Saariselka planning site . Getting from Salla to Saariselka by car takes about 3.5 hours. In December in Saariselka, expect temperatures between -7°C during the day and -17°C at night. Cap off your sightseeing on the 1st (Tue) early enough to go by car to Akaslompolo. Start off your visit on the 2nd (Wed): look for gifts at Elan Ski Shop & Rental and then fly down the slopes at Yllas Ski Resort. 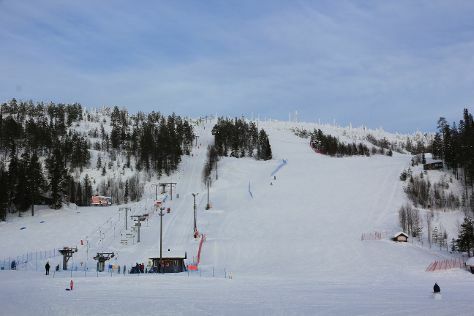 On the 3rd (Thu), you'll have a packed day of sightseeing: ski along the peaceful trails at Levi Ski Resort. To find more things to do, where to stay, other places to visit, and more tourist information, use the Akaslompolo trip builder website . Drive from Saariselka to Akaslompolo in 3.5 hours. Alternatively, you can take a bus. In January in Akaslompolo, expect temperatures between -11°C during the day and -22°C at night. Wrap up your sightseeing on the 3rd (Thu) early enough to drive to Rovaniemi. Kick off your visit on the 4th (Fri): look for gifts at Your Piece Of Finland, then fly down the slopes at Ounasvaaran Hiihtokeskus Oy, then see Santa Claus Office, and finally see the interesting displays at Christmas House Santa. On your second day here, explore the different monuments and memorials at German Soldier s Cemetery, then take an exotic tour of a safari tour, and then take an in-depth tour of Arktikum. For ratings, other places to visit, traveler tips, and other tourist information, read Rovaniemi attractions planning app . You can drive from Akaslompolo to Rovaniemi in 2.5 hours. Another option is to take a bus. Traveling from Akaslompolo in January, Rovaniemi is a bit warmer at night with lows of -17°C. Wrap up your sightseeing on the 5th (Sat) to allow time to travel back home.